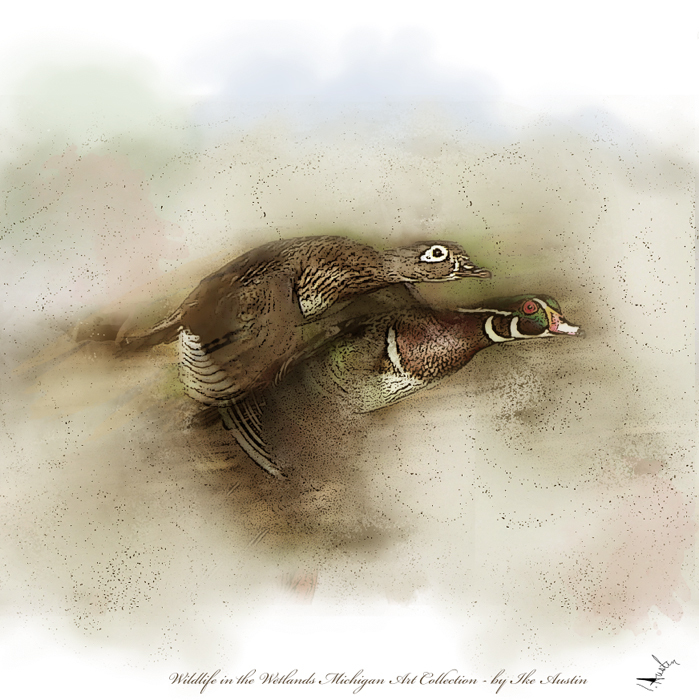 This is the online art gallery to purchase your treasured Michigan nature wall art for your home or office. 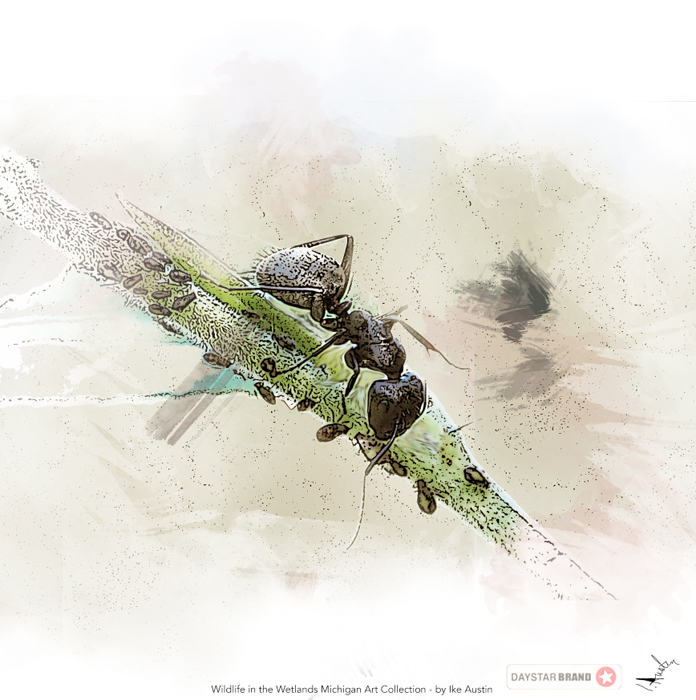 This unique nature art captures the simplistic and historic spirit of the Michigan wetlands with an art style that brings close attention to each wildlife art subject. This Nature art is a result of several years of walking and roaming the many undisturbed obscure wetlands. 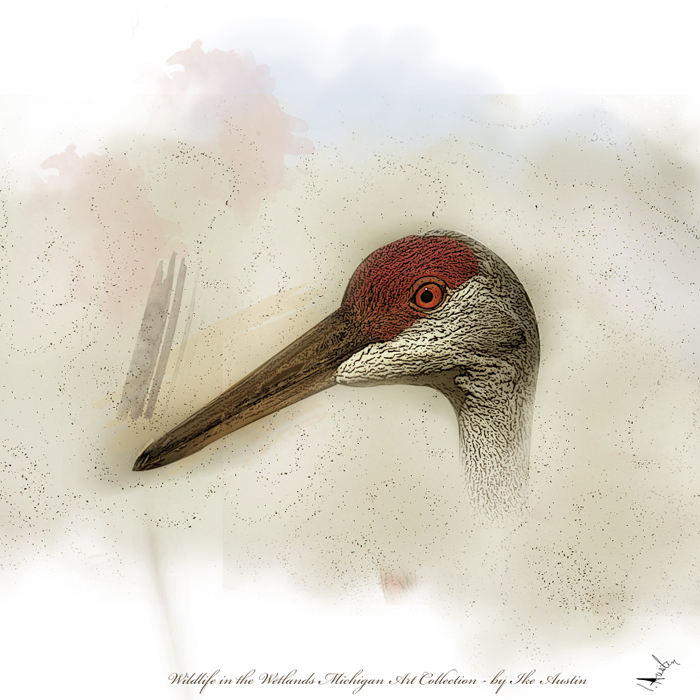 Nature Art Michigan is created to provide the opportunity to Michigan outdoor lovers to bring pieces of the Michigan Wetlands into your homes; which is much more than what a photograph can achieve. A photograph is a nice gesture, but art is a personal expression with the intent to capture and recreate the spirit of the moment captured in time. Art is an attempt to ignite the human emotion to inner eye deep within the viewer. The nature photography art prints serve as a catalyst for creativity. The creation of such that involves time, commitment; a deeper connection to portray the inner spirit of the wetlands. The artist can manipulate scenery to transfer a more personal experience of history, current events, atmosphere, and emotions. Art is something that you can truly connect with on a personal & passionate level. 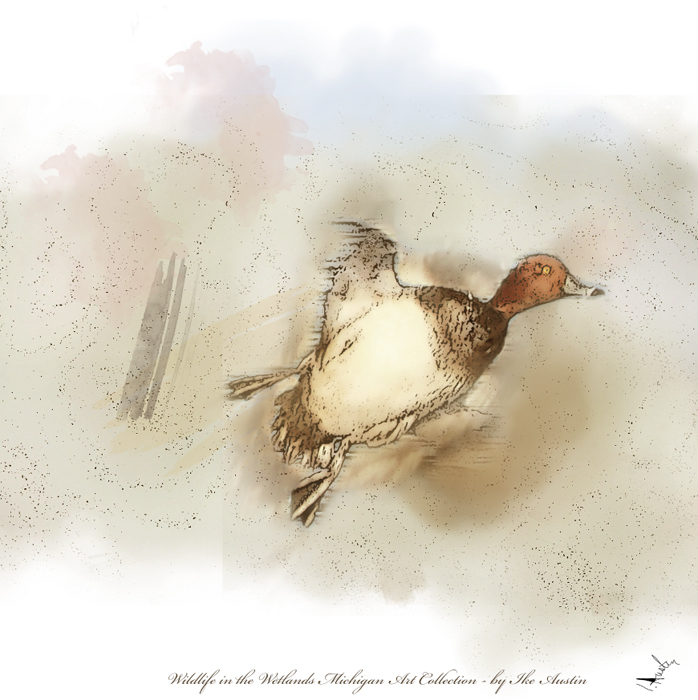 Art is an attempt to link the spirit of the wetland to the inner spirit of the beholder. Not found in lakes, man-made ponds, or public parks, nor in zoos or pet farms. Michigan Wetland background noises created a cacophony of sounds that would become the unique trademark voice found only in the open undamaged wetlands. The many bird calls, insects buzzing, amphibian rustlings, chirpings & croakings. The winds & breezes, the dancing light & shadows from the trees and shrubs down to the artistic fine textured mosses that line themselves and hide on the northern sides of living and fallen trees. The wetlands are skillfully stroked & sketched with nature’s own imaginative God-size brush of time. Fallen trees are accents for the living. 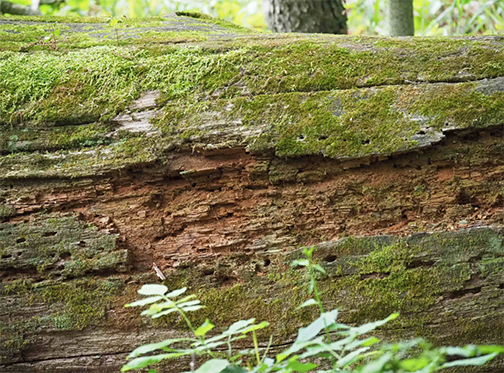 Fallen trees communicate their personal stories of long ago experiences of its personal excitement and triumphs. Trees will share adventures about their many families of animals; those of short time visitors, and their once-upon-a-time long-term residents. Hear nature share her wisdom and secrets with ThirdSon. ThirdSon and the RIver’s Sky is a story about a young adventurous traveler who happens upon invisible beings that inhabited the strange sky down by the river. Thus begins his eye opening enlightenment as he discovers these beings used nature to communicate, hence… begins his… Dialog With Nature. Hope you enjoy the Nature Art Michigan.